So these details have been out a little while now, meaning this article is largely going to be about my views on the matter now they’ve been out for some time, and what could happen in the future as a result from this, instead of a general news post with my initial reactions to the changes. What I’m talking about is the changes healers are seeing to their mana regeneration going into 6.0 and beyond. 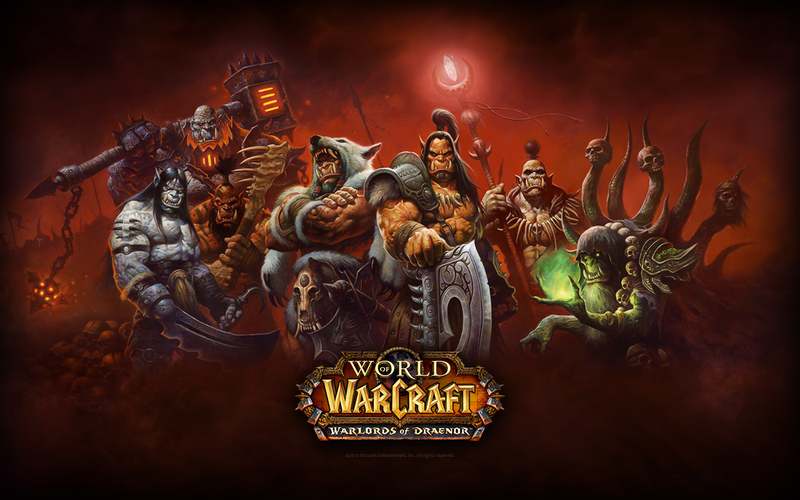 Please note that at the time of writing this article, Warlords of Draenor is in its alpha stages, with changes happening left, right and center, so chances are details in this article are likely to change. It didn’t take long for Blizzard to re-implement Innervate for example, unless it was their plan all along to completely scrap it and rebuild it from new with a new spell ID. Druid: Innervate has been redesigned to have no cooldown, have a two second cast, and every 4 seconds for 8 seconds will restore 2.5% of their max mana. Innervate will cancel if any healing spells are cast during this time. 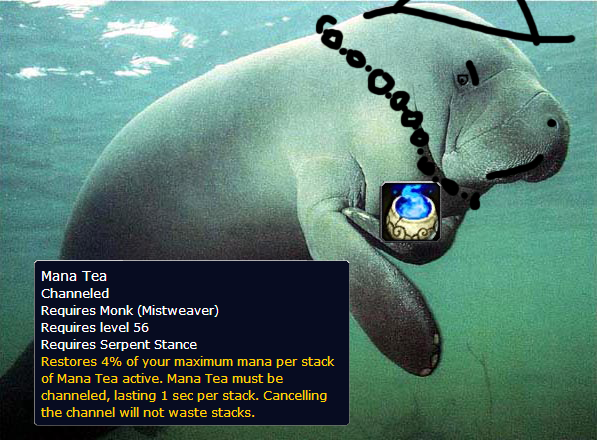 Monk: Crackling Jade Lightning will have no mana cost in Stance of the Wise Serpent (baring in mind Mistweavers can now choose between Serpent and Crane stances), and once channeled for the full 4 seconds will restore 2% of their max mana. Paladin: Divine Plea has been redesigned to have no cooldown, but now consumes 3 Holy Power to restore 7% of max mana. Discipline Priest: Penance now restores 1.1% of max mana every time it hits, but no longer triggers Atonement. Holy Priest: Red Chakra (Chastise) will cause Smite and Holy Fire to restore 0.75% of max mana instead of costing mana. Shaman: Telluric Currents is now (finally) passive for Resto Shamans. Casting Lightning Bolt will restore 1.25% of max mana instead of costing mana. So it looks like Blizz have taken a look at Mistweaver Monks and Power Word: Solace, and decided that they like that particular model of regenerating your mana in a more active role, as opposed to a button you just pressed every couple of minutes to greatly regen your mana like the Innervate or Divine Plea we’re used to in Mists. Just like how Blood Shield for Blood DKs was kind of a testing ground for what all tanks eventually received in Mists through active mitigation, it seems that all healers now get this active mana regeneration model as a result of the success with Priests and Monks. I have to say, I’m most intrigued by the Druid and Paladin ones. The Druid one less so, but they both have something a little more unique than “deal damage to regen mana” – something that builds upon the Monk’s mechanic for Mana Tea. We’ve had Telluric Currents for years, just slapping the same thing onto both three more specs doesn’t make it any more interesting. What about something like “Every 3 Renews you cast makes your next healing spell cost no mana” or bring in the return of mp5 through saying something like “Not casting a healing spell for 5 seconds will increase your spirit by X%”. Monks could make use of their secondary resource, chi, to instantly restore something like 0.5% of max mana – baring in mind that spending chi gives them stacks for their tea too, it could be a good way to actively dump throughput to gain a ton of mana back. I think the active mitigation model has worked extremely well in Mists, even going as far to say that out of them all, ironically the Death Knights are the tanks that seems to be the weakest and most dependent on lucky streaks from dodge and parry in order to stay alive. But what’s worked out the best is that because of all the different resources tanks have to increase their survivability – healers on the other hand largely just have mana to work with. Monks and Paladins have their combo points, sure, and I’m not trying to push for all healers to get some kind of combo point mechanic to spend as that’ll just feel shoved in for complexity’s sake. But simply dealing damage to regen mana just seems like boring design. I do want to make a point on the new Innervate too: It essentially means the Druid isn’t healing for 6-10 seconds, taking the cast time into account. I don’t know if haste will have an impact for partial mana ticks at all, but it does involve a bit of communication with the raid to only expect heals to tick out for the next few seconds – if we’re going into Mythic raiding with 4-5 healers, that means for 6-10secs at a time raids are going to have to make up 20-25% healing while an Innervate is going out. With triage healing being the focus of the expansion, with Blizzard planning to reduce the huge damage output and expecting raids to spend most of their time at sub-100%, it’s going to take a lot of intuition of the encounter for Druids to time their Innervates correctly without being tempted to throw a Wild Growth out or sweep a few extra Rejuv’s out. What Blizzard are telling Druids to do with Innervate in its current form is to essentially do nothing while they regen mana, as casting will negate the regeneration from Innervate anyway. So yeah, I’m complaining about using damage to regen, and I’m complaining about one of the few mechanics that doesn’t involve using damage to regen mana. I sound like the average forum user… The proof is in the pudding, Blizzard made active mitigation work extremely well for tanks – it certainly breaks up the main problem I have with tanks: long periods of nothing to do, maybe taunt every so often, but then suddenly all the weight of an encounter is on your shoulders, and you could be the cause of a wipe. It’s up to the tank to be able to cope with the sudden switch in responsibility, so for those that tend to lose focus from boredom, this active mitigation model certainly makes much more interactive gameplay. It makes me think about the future though – if this active mana regeneration model works out well for healers, could it be something we see for DPS? Perhaps removing some DPS cooldowns to combo some abilities together to grant more damage. As much as people hate it, Rune of Power from Mages could be a good template to start from, or Steady Focus on Marksmanship Hunters.